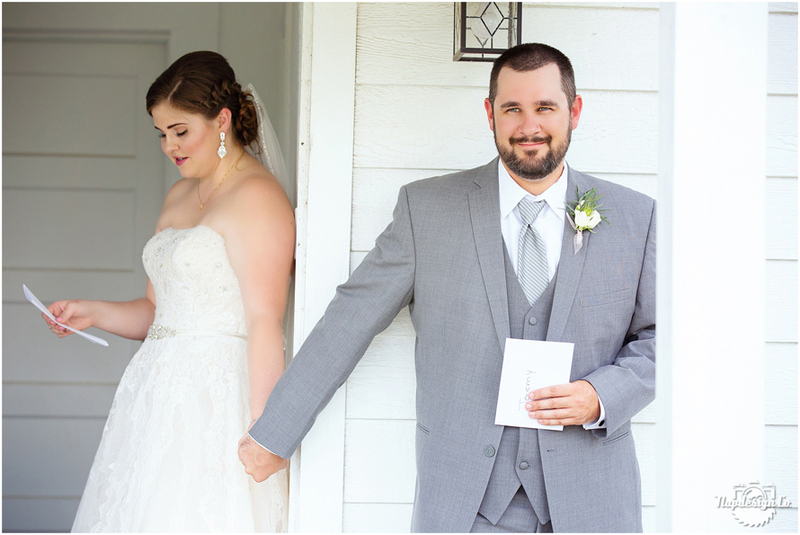 Brittany and Jeremy chose to wait to see each other until the ceremony which is a popular choice among my wedding couples, but they did want to exchange letters and I could sense their anticipation as they grasped each others hands as they were hidden around a corner. 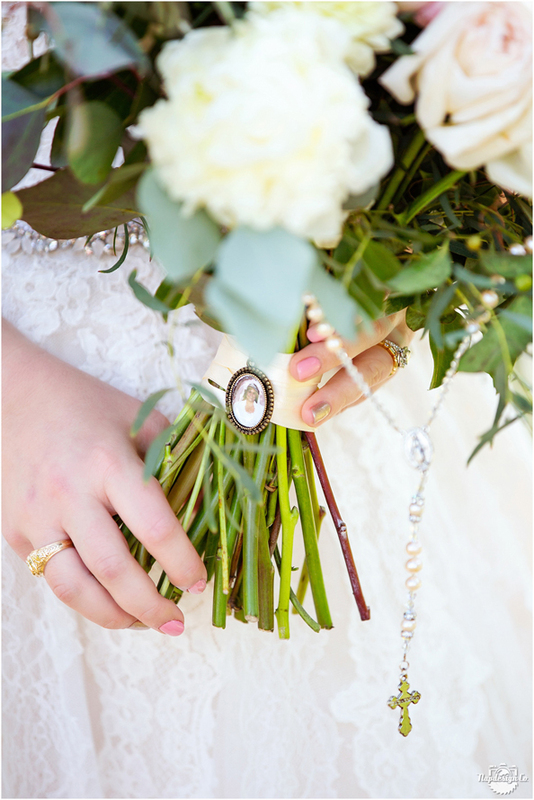 Brittany fastened this photo keepsake, of her mother on her wedding day, onto her bouquet as well as one onto her Dad’s boutonniere in remembrance. A Father Daughter Bond is so special! <3 This was such a sweet moment as he “gave her away”. Josh’s position during the wedding ceremony as the second photographer is in a side room to the altar if their is one available, which is awesome because these are the kind of precious images he captures! Their first kiss and husband and wife! Look at the joy on their faces as newly weds! I just love kids and their expressions! Big wedding parties are so much fun! Outdoor portraits of the bride and groom, they are a great match! This was such a special moment, I was shooting through my tears, especially after their heartfelt words, hugs and tears! Brittany requested a photo holding a portrait of her mother on her wedding, what a great idea to remember her mom on her special day! Simply elegant cake by The Best Little Cake Shop In Texas! 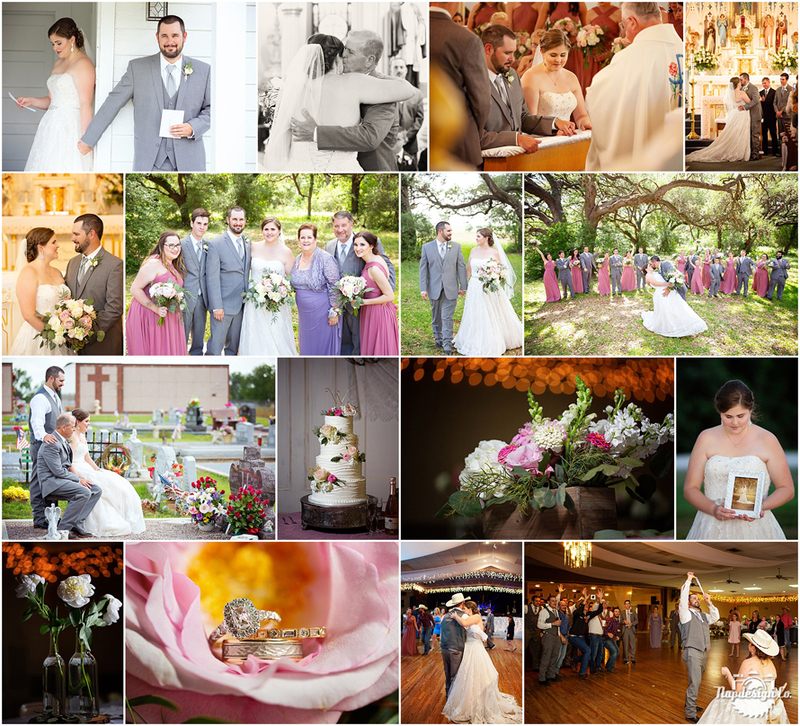 I loved all the floral wedding decor by Cuts Of Color from Weimar, TX! I love the closeness in the image of the bride and groom’s first dance! Sure had a competitive group of single guys for the garter toss, so fun!